Often used alongside treatments such as veneers or crowns, a low or uneven gum line, often described as a 'gummy smile', can be transformed by gum contouring. 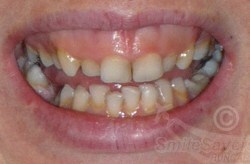 Our client had a gummy smile and her teeth were uneven, heavily stained, and some were missing. 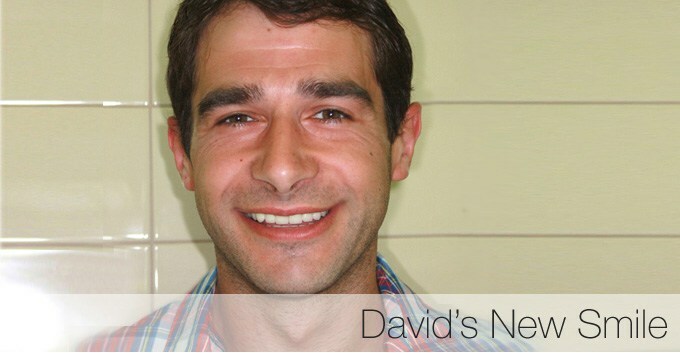 Our client’s gum line was raised with gum contouring, then after 8 weeks healing zirconium metal free crowns were fitted to the front teeth and porcelain fused to metal crowns to the bottom jaw and premolar and molar teeth. 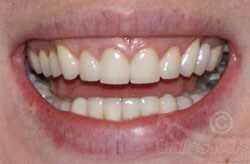 Our client was always unhappy with her gummy smile and decided to undergo cosmetic dentistry with Smile Savers, her treatment included gum contouring, zirconium metal free crowns, porcelain fused to metal crowns/bridges and an extraction. When a friend shared pictures of Karen at a wedding, she was horrified. Were they really her teeth? It was the push she needed to do something about them.